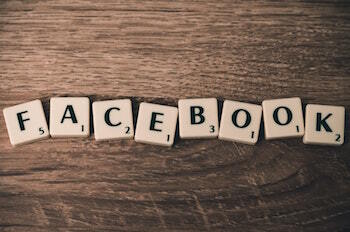 Can Facebook Groups for Writers Work for You? **This Guest Post on Facebook groups for writers was researched and written by Ottawa-based writer Michelle Bonga, who has been working with me as an intern for the past six weeks. Michelle is a student of Algonquin College’s Professional Writing program and a founding member of Voices in the Attic. She enjoys reading, writing, and playing video games. She hopes to write a book and one day find it in bookstores. This is Part 1 of a 3 Part series — you can find Part 2 here. Whether you are a seasoned writer working on a novel or a fresh sprout looking to hone your skills, these Facebook groups for writers are lively communities that offer writing advice, suggestions, and safe places to ask any questions you have about writing. Each group has its own set of rules that must be followed when actively participating in discussions or posting on the group’s page. So please, be polite, be respectful, and have fun! Many of these Facebook groups for writers will require you to answer a mini questionnaire upon requesting to join. They are no more than a few questions asking about your writing preferences, what you hope to achieve by joining their community, and to clarify that you are not a robot, so don’t be alarmed! These closed groups just want to make sure their communities are safe spaces for writers to flourish. If you are interested in joining any of these groups, I encourage you to check them out. The links to each page are attached to the headers. A word of advice: only join groups you are most comfortable with. While these are all great places interact with other writers, caution is always necessary when sharing your work in online environments. If you are looking for a place to market your work, be aware that this may be seen as soliciting and you will be removed. These are places to find feedback and talk about writing with other writers — not to advertise or solicit clients. Check the group’s regulations before posting any advertisements. New to the writing world? Fiction Writing is a hub that helps you throughout all stages of writing a novel, from starting it to getting it published. Members are quite active, communicative, and often offer help to anyone who needs a hand. This is a good place to post questions regarding any writing issues you’ve encountered, and I promise you will not be disappointed. I have joined all of these groups, but Fiction Writing is the one I most often see in my news feed with useful tips. This group is easily the most accessible on the list. You don’t actually have to send out a request for this one; just like the page and you’re all set! 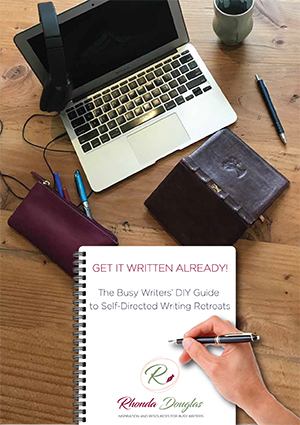 Writers Helping Writers is a great page to check out if you are looking for some solid writing advice without having to scroll past posts from other members. Most of their posts refer back to their website, but they also frequently share other sources as well. If you’re interested, feel free to check out both! If you’re just getting started and are feeling a little shy about your work, rest assured that you will feel comfortable posing any and all questions here. This group is super friendly; one of the administrators sent out a message just moments after accepting me into the community announcing me as one of their new members. Other members were quick to extend the welcome, which immediately showed me that this group fosters a positive environment. Just like the rest of the groups on this list, 10 Minute Novelists is a great place to go if you’re stuck at some point in your current writing project and looking for some writing assistance. Members are quick to respond and are often very helpful. In my opinion, this is more of a “sub-group”: a sort of discussion board kept separate from The Write Life’s official Facebook page. Whether or not you aspire to be an author, a freelancer, or even just a better blogger, you’ll find regular postings of tips and tricks published here and on their website. As for the actual The Write Life Community page, you don’t need to be a member to see any of the discussions or posts, but you will be unable to comment or participate otherwise. Should you decide to join, members are friendly and quick to help. Something to keep in mind if you’re looking for somewhere to advertise your work: members are not allowed to promote their works or publications on this page unless administrators post a #MondayMotivation thread. All self-promotions outside of this thread will be removed. This Facebook page was created by CBC Books to encourage writers across Canada to share their work. As a member, you will not only be able to share your thoughts and concerns, but will find links for poetry readings, writings competitions, and regional gatherings that other members have found. Canada Writes also offers a range of competitions for writers looking to showcase their talent. While Canada Writes is a group run for Canadians and features Canadian contests that may have residency requirements, their page doesn’t say anything about potential membership for those who live outside of Canada. In any case, it’s worth a try and you may find the general discussions helpful. Looking for a challenge? That’s what the administrators at Writers Assembled have to offer. A safe place for writers to interact and share ideas, members are often given the chance to participate in writing challenges to test themselves. If you are also looking for somewhere to promote yourself, this is a good page to do so. The administrators of this group have a “Weekly Promotion Post” where members are allowed to promote their published works, websites, and services. Run by author and writing teacher Leigh Shulman, this page is a safe space for aspiring writers to hone their craft. Shulman regularly posts prompts and writing tips from her own website, as well as other sources. She has some pretty good insight to offer, so definitely check either of them out. Writers World is an online critique group. Members regularly post questions and writing tips in the discussion threads and are quick to offer advice on anything you are working on. If you are looking for critiques, you need to actually post any segments you are working on directly onto the discussions page for other members to comment. If you are not comfortable with posting stories, I would suggest joining anyways to scope out what other writers are working on and the feedback they are receiving. This is one of the most active groups on this list; you will find no shortage of questions, suggestions, and ideas. Heads up that this group does not permit members to share links, so if you are looking for a page that shares external sources (or somewhere to share sources of your own), this may not be the group for you. 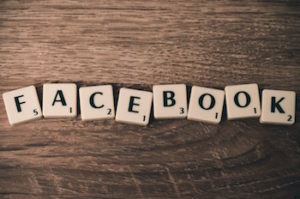 These eight Facebook groups for writers are the perfect places for new or emerging writers to test the waters and interact with other writers. If any of them have interested you, please feel free to click the headers and check them out. I have found them all useful myself, and I hope you do as well.